Get ready to tee off on the challenging Word Golf course. How many words will it take you to complete a hole? Each word counts as a stroke. If you are attempting a tee shot you'll need a long word. If you are chipping or putting a shorter word will do. The goal is simple, play each hole with as few strokes/words as possible. Either way all your words must start and end with letters rolled from the unique 30-sided die. Tee shot distance in Word Golf is critical. If you land your tee shot on or near the green, you should be able to complete the hole in fewer strokes/words. Can you come up with the words you'll need to break par? 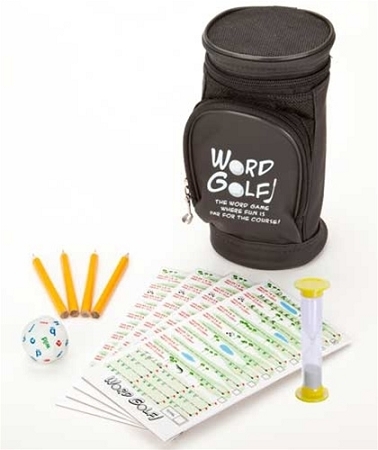 Word Golf combines the challenges and fun of a word game with the excitement of a round of golf!